Nick is the head of Mercedes-Benz Vans Future Transportation North America in Menlo Park, CA, where he guides the research and development of IoT technology for commercial vehicle applications. Currently, he oversees projects in both the people-moving and logistics industries. 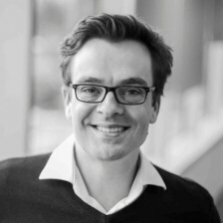 Prior to his work in the US, Nick led a solution architects group for Mercedes-Benz Vans in Germany, coming from previous strategy and product management roles at Daimler AG. Nick has a background in international economics and holds an MBA from Steinbeis University Berlin. Tempelhoff will be speaking at the IoT Tech Expo North America 2018.